INDIANAPOLIS, Ind. 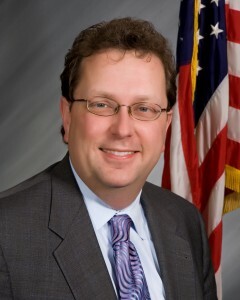 — “There will be leaders and followers as America’s economy emerges from the recession and I want to make certain Indiana tax laws and economic development efforts position our state and our fellow Hoosiers to compete effectively,” State Sen. Brandt Hershman (R-Wheatfield) said. The Republican lawmaker is calling for the creation of a legislative study committee that will conduct an immediate, bipartisan review of the best economic practices used by other states in attracting, retaining and expanding business investment and job creation. Hershman’s Senate Bill 237 – which establishes the Interim Study Committee on Economic Development – will be heard by the Senate Committee on Tax and Fiscal Policy at 8 a.m. Tuesday in Room 431 of the Statehouse. Hershman said the 15-member bipartisan study committee would have two members from the Indiana Senate, two members from the House of Representatives, the chief executive officer from the Indiana Economic Development Corporation (or a designee), and ten members appointed by the governor. Other issues assigned to the committee by the Legislative Council or as directed by the co-chairs of the committee. Visit www.in.gov/senator.hershman and click on “Watch and Listen” to view the proceeding online.